The pumpkin extravaganza continues! I haven't baked in oh-so-long! I took the day off recently and whipped up these cookies at a leisurely pace. I definitely need to get back into baking. My apartment gets super hot in the summer when I turn on the oven, so now that we're rolling quickly into winter (I mean, it WAS freezing in NYC this past week!) I'm no longer apprehensive to crank up the heat in the kitchen. Can I make a recommendation that you bring these to a Friendsgiving or Thanksgiving shindig? These will make you one of the more popular people there, I assure you. You can tell everyone "how hard you worked" on making these and I won't spill the beans! 1) Preheat the oven to 350 degrees F. Grease the baking sheets with butter or cooking spray. 2) In a medium bowl, whisk together the flour, baking soda, baking powder, cinnamon, nutmeg, and salt. Set aside. 3) In a large bowl, beat together the butter and sugar until incorporated. 4) Add in the pumpkin, egg, and vanilla extract. Beat until smooth. 5) Slowly fold in the flour mixture. 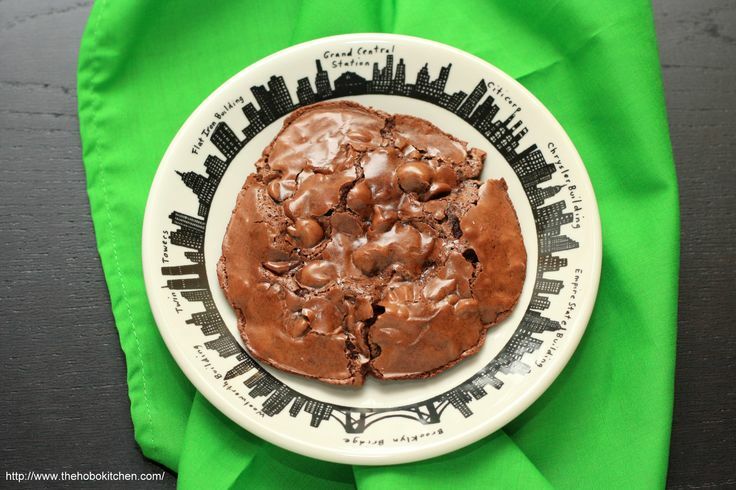 6) Fold in the chocolate chips until incorporated. 7) Drop by rounded tablespoons onto the prepared baking sheets. 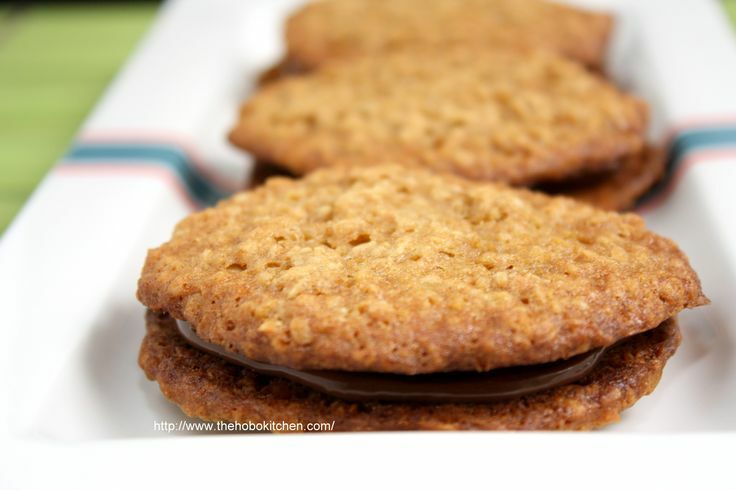 8) Bakes for 15-18 minutes or until the edges are firm and the bottoms of the cookies are browned. 9) Remove the cookies from the oven and allow to cool on the baking sheets for 2 minutes before moving them to wire racks to cool completely. 10) Make the glaze by mixing together all the ingredients. Make sure the consistency of the glaze is slightly runny. Use a fork to scoop up the glaze and drizzle it over the cooled cookies. I just got back from a trip to the Bahamas this week! I loved being back home in Nassau, but now I'm back in the cold and rainy Northeast. You can't have it all. To cope, Ive been inhaling those Chili Nut M&M's. Remember when I talked about them a few weeks ago? Well, it's still a thing that is happening. Since I've been obsessively purchasing bags of these candies for the past few weeks, I was reminded of the chocolate cayenne cupcakes that I made EONS ago (how has it been almost 6 years!). I loved those, but I had totally forgotten about them. I try not to make the same recipe twice, so I decided to make a cookie variation using the same flavor concept. Since I also hadn't made cookies in a while, this actually worked out perfectly! I have to admit that I ended up "taste-testing" quite a few of these cookies. They were so delicious! 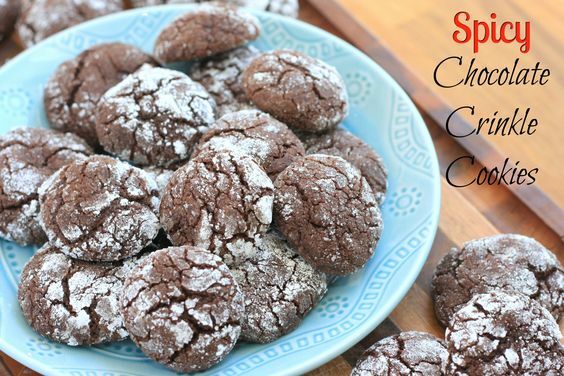 In spite of their crinkly appearance, the cookies were soft and chewy. And of course there was the spicy kick at the end that I really enjoy. I definitely recommend you make these and take them everywhere with you. You can make a ton of friends in one day by sharing. Or you could sit at home and eat them all. I won't tell. 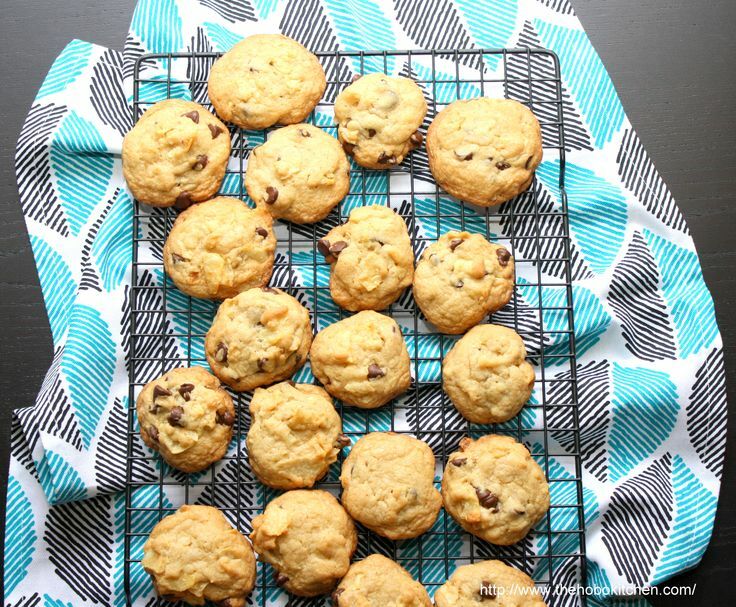 Why has there been a lack of cookie posts on this blog lately? We must fix this! I don't know if I've told you already that I'm not a huge fan of cookies. I certainly like and enjoy them, but I don't LOVE them. My coworkers are probably laughing at that statement right now, since they saw me eat cookies almost everyday at lunch for a while. You also wouldn't want to see my face when someone forgot to pick up a cookie with my lunch order. In truth, I ate cookies a lot because they're one of the easiest treats for me to eat at work. However, in recent weeks, I've been putting a stop to this cookie diet. I found that I virtually inhaled the cookie and then wound up searching for another dessert 10 minutes later. So maybe that's why I'm craving cookies once again! Can't stop, won't stop. I guess I just miss that quick hit of sugar and chocolate. Chocolate chip cookies for life! Now. I have to warn you guys. This particular cookie is mostly sugar. As in, you will get a sugar high immediately when you eat this. If you're OK with that, then let's do it. Let's just smush everything that we love together and put it into another thing. It's going to be epic, I swear. By "epic", I mean, we're about to throw down with some potato chip chocolate chip cookies. Don't think about it. Just know that you need these in your life. Here's something you may or may not know about me: I'm a snacker. Yes, I have a problem, but I'm admitting it so is it really that much of a problem?...Don't answer that. In case you missed it, I'll say it again: I'm a snacker. No bag of chips is safe in my apartment. Unless maybe it's a bag (box!) of Cheez-Its. I can live without those orange fake cheesy grease bombs. But seriously, my current obsession is Tostitos Hint of Lime. I remember describing those to a former boss as "tortilla chips sprinkled with crack". I still stand by that statement. I didn't think that tortilla chips covered in fake crack powder would be the best choice to include in a chocolate chip cookie though, so I caved and purchased regular potato chips for this deed. Since the recipe didn't require the entire bag of chips, I naturally ate the rest for breakfast the next morning. This is why I don't invite chips into my apartment. I can't stop myself! Just so you know, next time I may live on the edge and try this with Salt & Vinegar chips! I live my life on the edge. More pumpkin thingys are coming your way! Don't think that I got sidetracked with baked fries and Nutella sandwiches. Well, I will admit that I was distracted, but I'm definitely still in that pumpkin mood. Although I was dragged into this season kicking and screaming, I'm finally starting to accept that things are changing. To celebrate this, I chose this month's Secret Recipe Club's recipe based on my ability to use pumpkin. Also, I may have wanted to use cranberries and chocolate. I just can't settle on one thing! 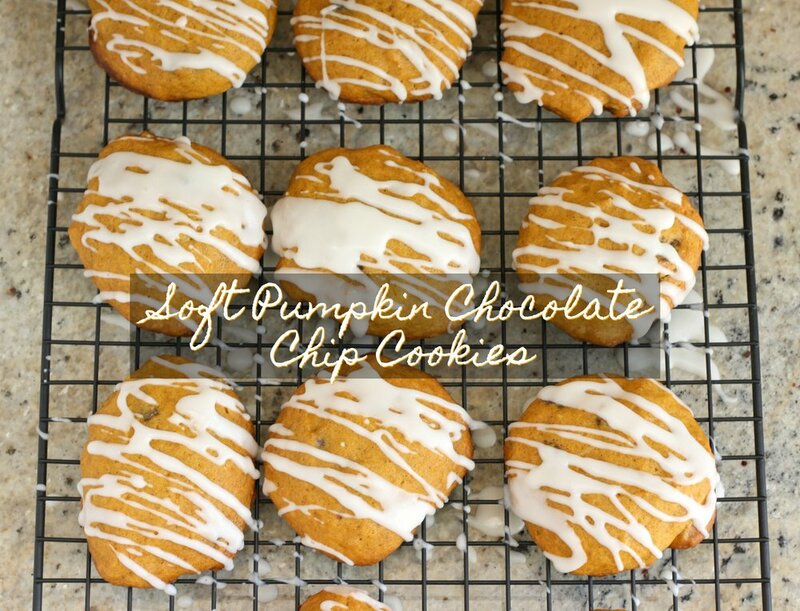 I was paired up with Colleen from Secrets from the Cookie Princess for this month's SRC post. Let me tell you that Colleen has got a ton of recipes that I was drooling over. Some of the ones that almost made the cut were her Pumpkin Cranberry Muffins (until I realized I had already made something similar in the past), Pumpkin Beer Chili, and Chocolate Chip Coffee Cake (because chocolate chips and coffee cake, of course!). I finally narrowed the selection down to the Pumpkin Cranberry Cookies, but since I still had chocolate chips on the brain, I wanted to throw some in as well. And then I couldn't decide whether I wanted white chocolate or milk chocolate chips....so I added both! I remember when I was a senior in college and one of my good friends who had just graduated came back to visit from "the outside world". I was having a conversation with him, telling him that I couldn't wait to graduate myself and be done with college. I distinctly remember his response: "Don't rush it. College is amazing. Once you get into the real world, time flies by so fast!" I don't know why this conversation came back to me just recently, but it's definitely applicable to how I'm feeling right now. I can't believe it's time for the Secret Recipe Club again! It's feels like just last week that I was posting about Feta Avocado Dip. I need more time! I also feel as if I haven't posted anything sweet in a while. What is going on over here on this blog?!?!!? Have we forgotten our sweet sweet origins, which happened to consist of us drowning in cupcakes? I must redeem myself. I actually used my new coworkers as my excuse. Since I've been at my new job, the treats have been flowing in and out of the office like whoa. Of course I had to contribute as well. For the good of the company. This month, I was assigned Nicole's and Susan's blog, Flavors By Four. They are a mother-daughter team and can I just say that their blog is chock-FULL of recipes that I want to make? I really really wanted to taste their Biscoff Brown Sugar Bars, but since they made that for last month's SRC, I quickly realized I had to let that dream go. My coworkers were still in luck though, because I found another recipe that was just crazy delicious: Nutella Oatmeal Cookie Sandwiches! There are no words for these, other than ohmigosh, ohmigosh, ohmigosh! I had an internal struggle going on for a while and I've decided which side has won. On one hand, I really wanted to publish some healthy recipes to kick off 2014, because no one really goes into the new year thinking you're going to stuff your face with tons of calories. We already spent all of December doing that. And if I'm being completely honest with myself, I also spent the tail end of November doing that as well (hello, Thanksgiving!). Now, if there's anything I'm good at, it's getting you to break your diet. I'm not proud of it, but I am that girl who is going to eat what I want and then figure out how much time I have to spend working out to counteract that decision. OK, I'm only like this 95% of the time, but you get the idea. 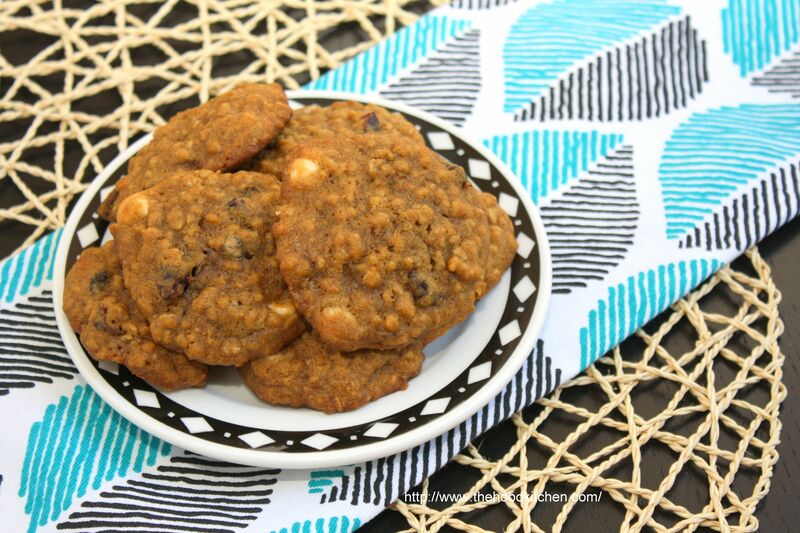 I also couldn't live with myself if I wasn't able to post the recipe for this cookies asap! 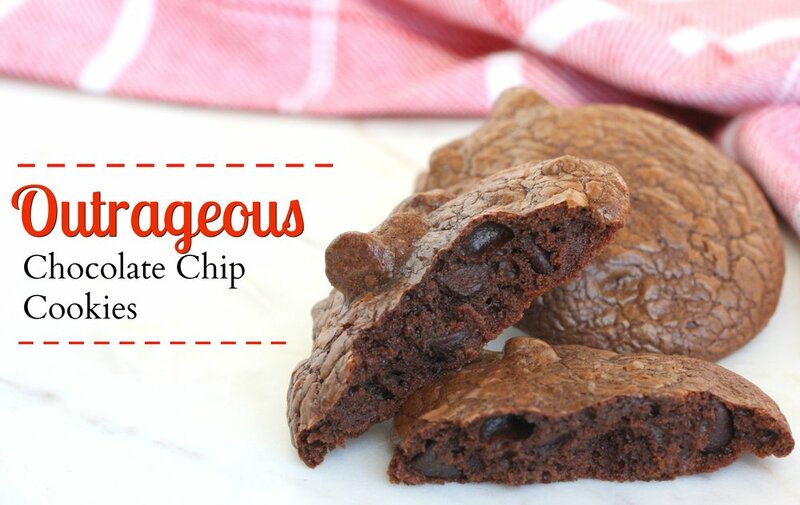 These cookies could seriously be called life-changing. I would say that I never want to be without these again but the problem with that desire is that I tend to eat at least three in a row. Let's be clear that this is not me sitting down with three cookies on a plate eating them. It's me sitting down with one cookie in hand, then getting up to get another one, and sitting back down. And let's repeat that one more time because I needed to get a cup of water and the cookies were RIGHT THERE...butreallyIjustwantedanothercookie. To help me help myself, I gave away about a dozen of these cookies, but somehow, within two days, the other dozen disappeared. I don't know what happened! I just returned from a pretty bangin' trip to New Orleans. I want to go back straight straight straight away. I recently developed an affinity for jazz music and a slight obsession with the Big Easy. I blame the Preservation Jazz Hall Band. You see, I went to see them at City Winery in NYC back in February. Halfway through the concert, I came to the conclusion that these talented men seemed to live pretty happy and rich lives down in New Orleans. So clearly I had to go check it out! Now I don't usually do this. You can be certain that I am not much of a traveler, but I figured I should probably work on changing that up. I like to travel, but there always seems to be a reason not to go just-this-second. I switched up the game this year. In 2013, we will travel more! So anyhow, I went to NOLA and ate my face off, while listening to a ton of jazz music and making new friends along the way. I did it up right. However, I have now developed an addiction to pralines. This cannot lead anywhere good. I know it. I just recently weaned myself* off these chocolate palmiers and I already have another replacement! *Disclaimer: I have not actually weaned myself off these palmiers, but I did run out of them. I have been holding myself back from making another batch so that I don't scarf them down all at once. I know I'm doing something that is just so rude. Please don't despise me for it, Erin. It's Secret Recipe Club time again and this month I was paired up with the Wholesome RD blog. Hi, Erin! Um, this is awkward, but I'm totally renaming your Campfire Cookies. Let me tell you why. Anytime I hear of a combination of chocolate, graham crackers, and marshmallow, I immediately hone in on smore's. I mean, it's only natural. The entire time I was making these cookies, I kept referring to them as s'mores cookies. I couldn't help it! I finally stopped fighting it. They will be called S'mores Cookies. So sorry. By the way, these are fluffy, delicious little things! I may have taste tested quite a few of them. It was necessary though. Since my big move, I haven't yet realized exactly what I'm missing from my cooking/baking stash. What I found out this weekend was that I lack a second baking sheet. You may not think that is a problem, but when a recipe makes 3 dozen cookies and you can only bake 8 - 10 per baking sheet....you have a long afternoon ahead of you. Alright, it wasn't that tragic, but you get my drift. Back to the deliciousness. These cookies weren't as sweet as I thought they would be, which is probably a good thing given that I taste-tested 1-2 cookies per batch. (If you don't want to do that math, I made 4 batches of these cookies, sooo...) One thing that I would love to experiment with is doubling the amount of chocolate, graham crackers,and marshmallow mix-ins. I know I just said I loved the taste, but as one of my favorite YouTubers always says "Why be subtle?"